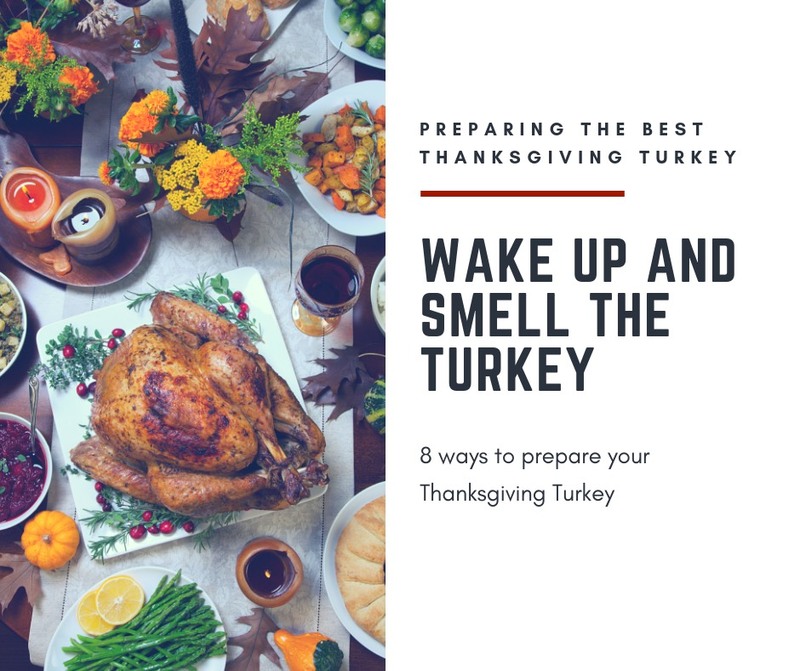 We are less than 2 weeks away from Thanksgiving so we thought we would share 8 Thanksgiving turkey recipes with you incase you want to change up your traditional recipes this year. For a Thanksgiving turkey recipe your guests will beg for, brush the bird with oil, then rub a homemade spice mixture into the skin. We love fresh greens and herbs such as arugula and basil leaves paired with Romano cheese and chopped walnuts. The split-roasting method is a great time-saver. 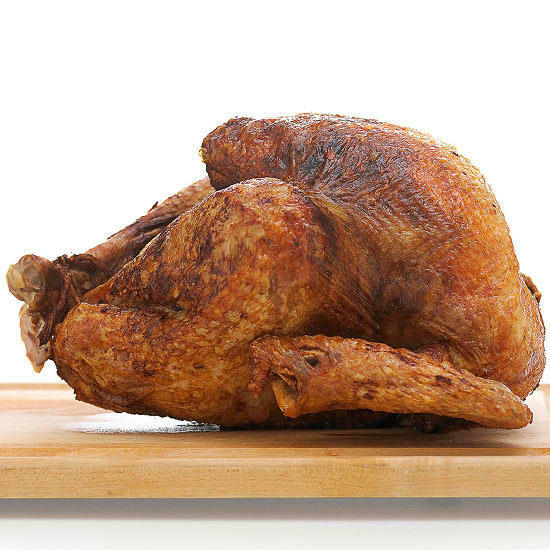 A turkey cooks faster in smaller pieces and can be split a few days ahead, which allows for more fridge space. 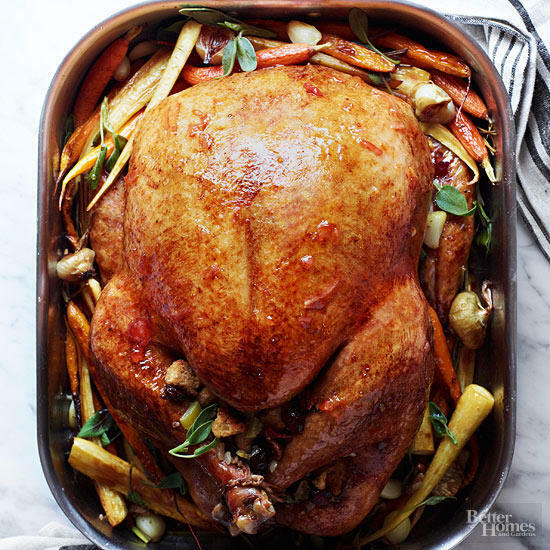 Roasting your bird is the most traditional Thanksgiving turkey cooking method. When done correctly, the turkey comes out a beautiful golden brown on the outside and juicy on the inside. 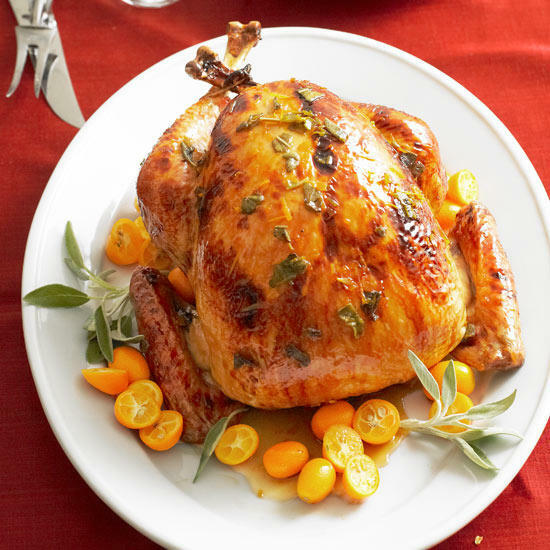 This roasted turkey is also glazed with marmalade and dressed with roasted veggies. 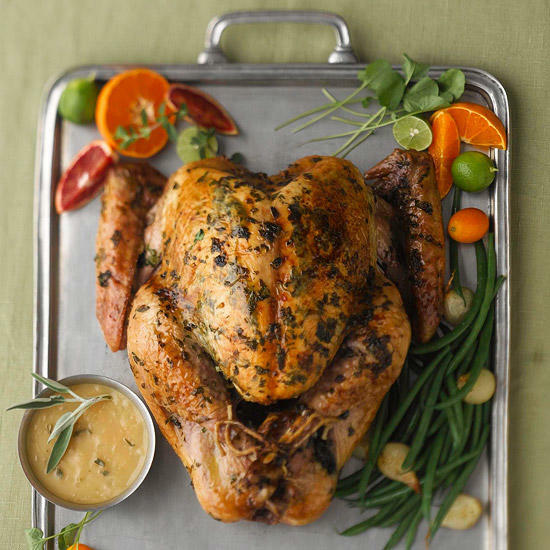 Another way to ensure a juicy, flavorful entree is to brine turkey. 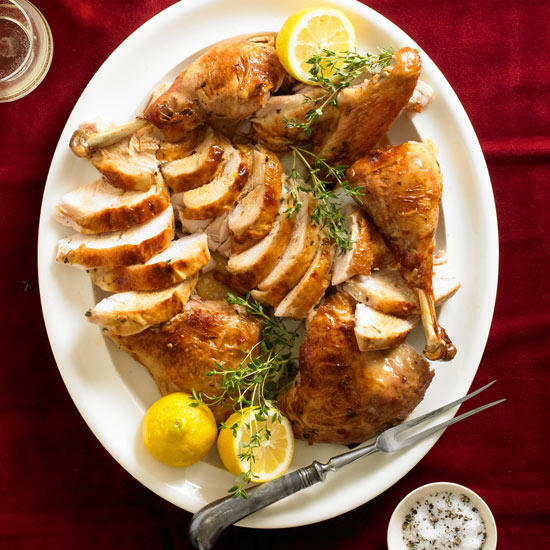 Most recipes call for brining the turkey for eight to 12 hours, so make sure to plan ahead. Our basic brine recipe is a mixture of water, salt, sugar, thyme, bay leaves, and peppercorns. 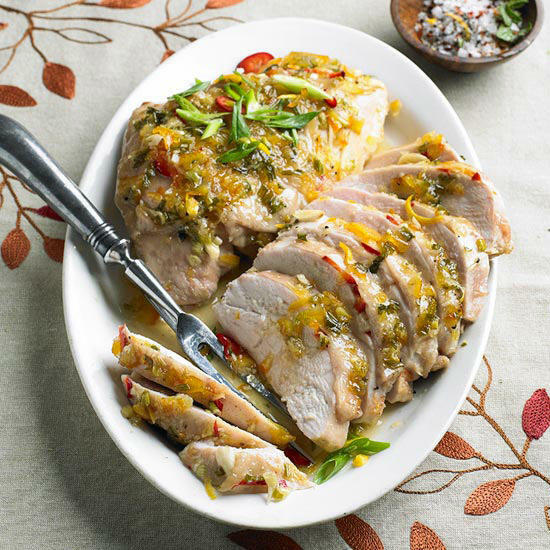 Looking for flavor that will rack up major compliments from your dinner guests? Make a glazed turkey. A third of the way through roasting, apply a sweet glaze of apple jelly and brandy to your turkey for a full-flavor bird that glistens with goodness. If you crave crispy skin, a deep-fried turkey can’t be beat. 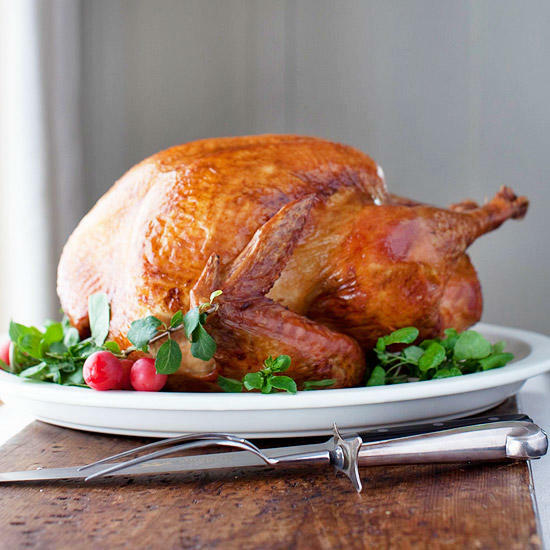 To avoid splatters, make sure your turkey is patted dry before lowering it into the hot oil. This turkey recipe actually blends two popular methods since you rub spices under the skin and in the cavity for extra flavor before you fry. 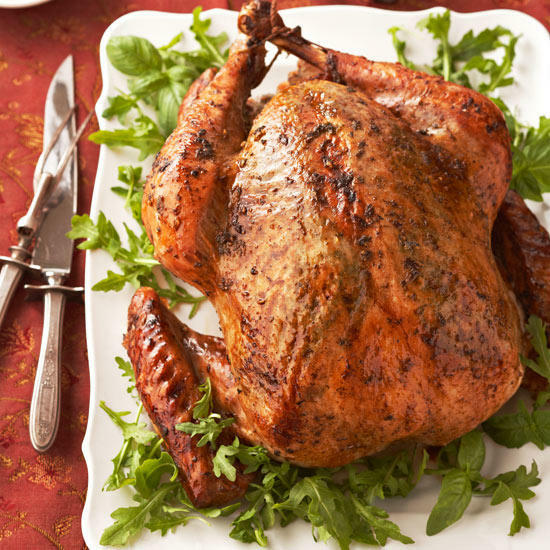 Injecting your turkey with seasoned liquid is a fantastic way to flavor the meat itself. Here, we’ve used a tasty mixture of honey, sage, garlic, and olive oil. If you’re serving a small crowd, turn to turkey breast instead of a whole bird. It can still have plenty of flavor if you marinate the meat (in the refrigerator) with orange juice and olive oil for 12 to 24 hours. Add extra flavor with a complementary glaze such as our sweet orange marmalade topping.